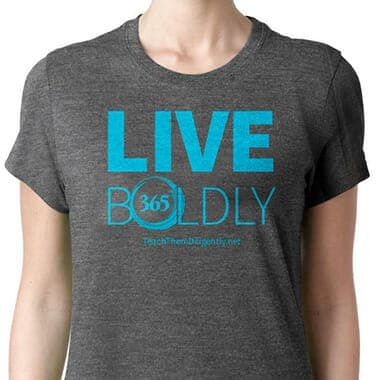 Get this a super soft heather grey shirt with the 2018 Teach Them Diligently Convention theme in blue print. This shirt will be available for a limited time. It is meant to be a great reminder to face each day by living boldly for Christ and not in fear and worry. It comes in Adult S/M/L/XL/2X/3X and is incredibly soft. Sizing runs true. Pricing includes tax and shipping. Quantity Discount: Buy 3 or more for $8 each – while supplies last!